All Posts Tagged With: "Toner"
Natural Skincare: Summer skin with Liz Earle Naturally Active Skincare. Introducing Marta’s favorite Liz Earle skincare products to keep my skin pampered this summer. Liz Earle Eyebright Soothing Eye Lotion with cornflower witch hazel and organic aloe vera. Eyebright is designed to clean and refresh the delicate eye area. Marta Walsh says: “Love patting Eyebright around my eye area with a cotton ball to remove traces of eye makeup and to get that cooling and super refreshing feel. Works great especially after a late night which happens more often in the summer”. Introducing Zensation Skincare of Switzerland. Pure and effective, Zensation products are formulated with natural Swiss Alpine plant and fruit extracts. Without using harmful ingredients, Zensation products naturally rehydrate skin. GET THE LOOK: Funny lady and Golden Globes nominee Tina Fey was made up by celebrity makeup artist Ana Marie last night at the 67th Golden Globe Awards using Lancôme products. Here’s the scoop on Tina Fey’s makeup at the awards straight from Ana Marie. The inspiration, says Ana Marie, was Old Hollywood/1950’s with a twist. Tina’s skin was prepped with Lancôme Secret de Vie Toner (Ana Marie’s favorite!) and moisturized with Bienfait Multi Vital, a combination that keeps the skin looking vibrant all day. Lancôme Absolue Foundation in Pearl evened out Tina’s complexion. Ana Marie applied it with a foundation brush and blended with a damp sponge to make the foundation more transparent. Just In: Rose Byrne’s Golden Globes look for Lancôme by celebrity makeup artist Ana Marie. Talking Makeup got the inside scoop on how to get Rose Byrne’s Hollywood Glam makeup look at the Golden Globes Awards tonight. Ana Marie prepped the skin with Secret de Vie Toner (her favorite!) and then applied Lancôme Bienfait Multi Vital moisturizer to keep skin hydrated and fresh. Lancôme Absolue Foundation in Ecru was applied with a foundation brush and blended with a makeup sponge. This helps the foundation go on evenly and keep the skin looking radiant. To create a sultry smokey eye, Ana Marie used Lancôme Eyeshadow Quad in Innocence Couture. The following are Marta’s picks of her favorite skincare products for face and body & also perfume 2009 ! Please note that the numbers don’t go in order of importance. Hey guys, I don’t look a day over 25 thanks to my top skincare products LOL (see images below). I go with Mario Badescu years ago in New York City. I remember ‘it’ was the it spot to get pampered and get great facials for my co-workers on the trading floor in midtown Manhattan. 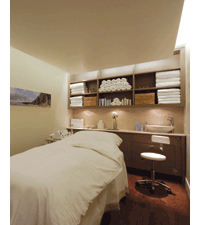 I even once got a special treat to get a facial done at the Mario Badescu spa in New York City and it was quite a pleasant experience. This is almost 9 years ago my friends! More recently, I’ve been using the Mario Badescu Seaweed Cleansing Lotion in the evening after I cleanse my face to get my face nicely toned, or sometimes in the mourning before my shower in those days when I think I didn’t get a good face cleansing the night before. This cleansing lotion is gentle even if you keep reapplying with a cotton pad. Formulated with Aloe Vera, Algea Extract, and Witch Hazel which seem like just simple and classic ingredients for your skin. BTW, after a quick trip to the local Scottsdale ULTA here in Arizona I’ve discovered that they carry the Mario Badescu skin care line. Perfect! 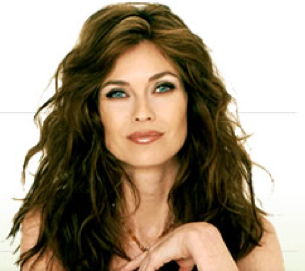 I’m so excited to share with you my interview with one of the greatest supermodels of all time, Carol Alt. Any of you remember Carol featured on the cover of the Sports Illustrated Swimsuit Issue in 1982? I was too young to remember but I do know I really loved her at NBC’s 2008 The Celebrity Apprentice, with Donald Trump. On that show, Carol came across as not only a very beautiful woman but also very smart one. A type of woman I look up to. Carol is all about raw food and has a great book about the raw food lifestyle called: the Raw 50 (with David Roth forwarded by Nicholas J. Gonzalez, M.D.) I’m also very excited to let you know about Carol’s skincare line called: RAW Essentials. If you are into green and clean skincare products you might want to learn more about Carol’s skincare line. 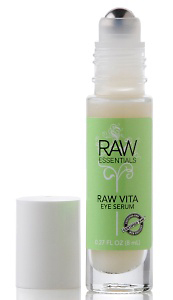 I personally love the RAW Essentials Raw-finish Rigorous Face Scrub, RAW Eeentials Raw-juvenate Eye Recoup, and RAW VITA Eye Serum (image below). In this interview Carol Alt talks about how did it all begin for her in the modeling world and some of her most memorable moments of her career. What led her create RAW Essentials and what makes it different than the rest. Gives advice to anyone interested in a RAW lifestyle and RAW food diet. Reveals what’s in her makeup bag. Gives word of wisdom to aspiring supermodels. And future plans. Marta Walsh: Your career as a supermodel and actress is undeniably impressive. How did it all begin? What were some of your most memorable moments of your career? Carol Alt: Oddly, my career kicked off right after a breakup with a boyfriend at the time! I was spotted waiting tables during my freshman year at Hofstra University, where I was enrolled in Army ROTC. The modeling opportunity was the perfect excuse to get off of Long Island and embark on an adventure. Glow for It. Here is how to Maintain a Clear Complexion for Fall: Expert skin care and makeup advice for bright skin year-round. Healthy-looking skin never goes out of style; though darker makeup and matte complexions appeared on the fall 2009 runways clean, glowing faces made their mark too. With autumn in full swing, however, it’s no wonder that maintaining a bright, luminous look may be proving difficult. But don’t let the change in seasons get you down—there are ways to battle the cold and wind and keep your smooth skin intact. Fight Back Against Flakes: Wearing a liquid foundation is a great way to achieve a dewy glow—but if you apply it over dry, flaky skin the results can be less than satisfactory. For a quick fix, Nicholas Perricone, MD, FACN recommends using a toner formulated with alpha lipoic acid and DMAE, “two excellent antioxidants that act as natural anti-inflammatories. Liz Earle Naturally Active Skincare, Britain’s best kept beauty secret, was founded in 1995 by Liz Earle. Its main philosophy is to create products that really work on every skin type, using the finest quality naturally active ingredients. 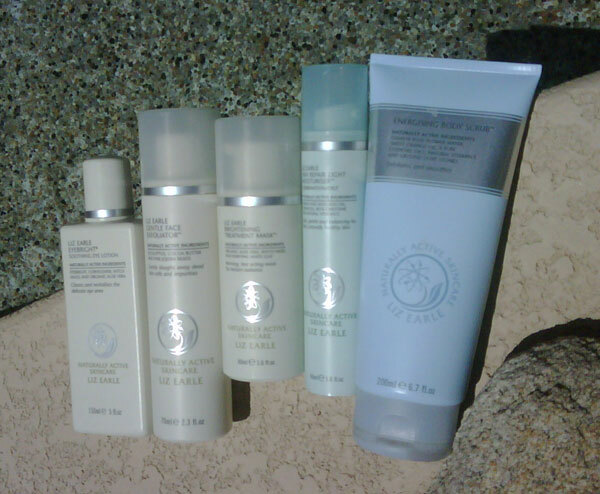 Liz Earle Skincare offers a simple, no-fuss routine yet very pampering or spa quality skincare routine for everyone.